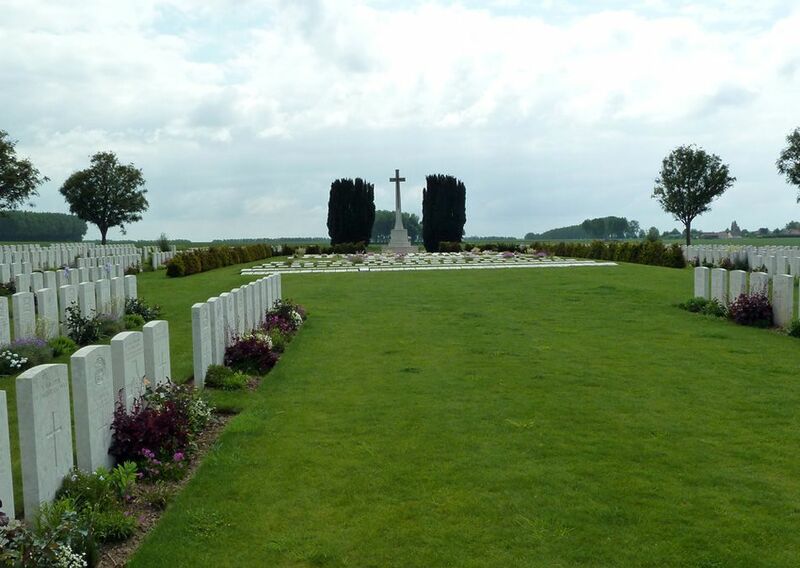 Thiepval is a village on the D151 road about 8 kilometres north of the town of Albert. 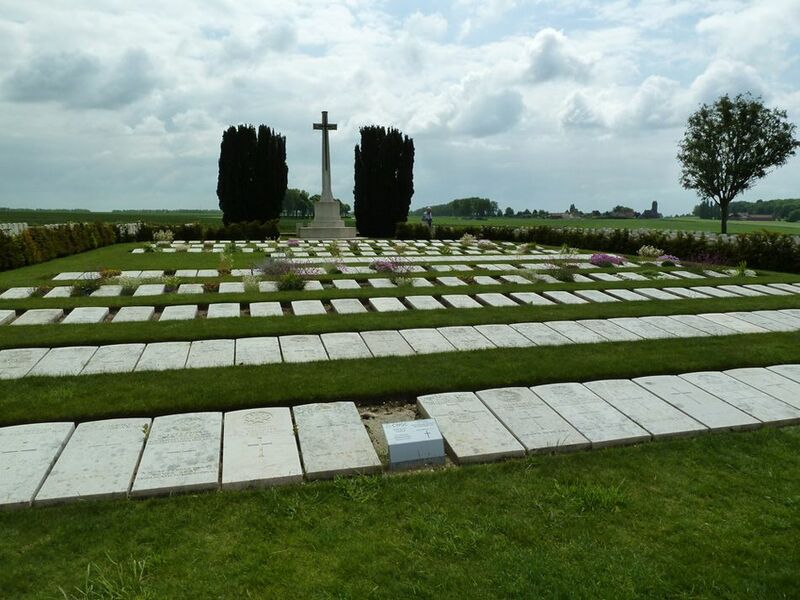 The Cemetery (signposted at Thiepval) is about 1kilometre north-west of the village on the north side of the D73 road to Hamel. Access to the cemetery, 500 metres from the road, is by a track (suitable for cars). The German Army took the area around Thiepval at the end of September 1914. It then established a line through the area with troops from its 26th Reserve Division. 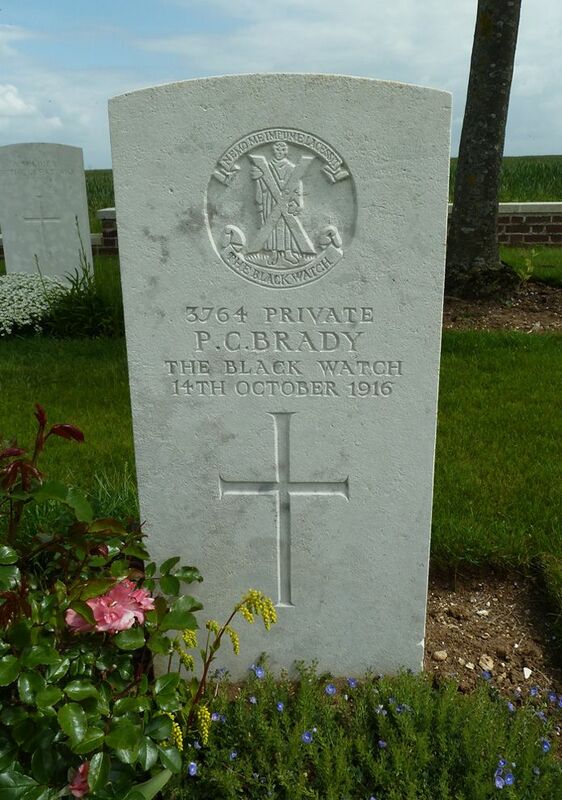 Men from this Division were still in occupation when Commonwealth forces launched their assault on the 1 July 1916. During this attack, the 36th (Ulster) Division were detailed to attack the German positions north of Thiepval, known as the Hansa Line and the Schwaben Redoubt. Launched from Thiepval Wood, initially their assault was successful and some leading elements even reached as far as the German's second line of defence (Stuff Redoubt). However, by the end of the day, as a result of the units on either side of it failing to take their objectives (in particular the 32nd Division's failure to take Thiepval), it had been forced back to the original German front line. 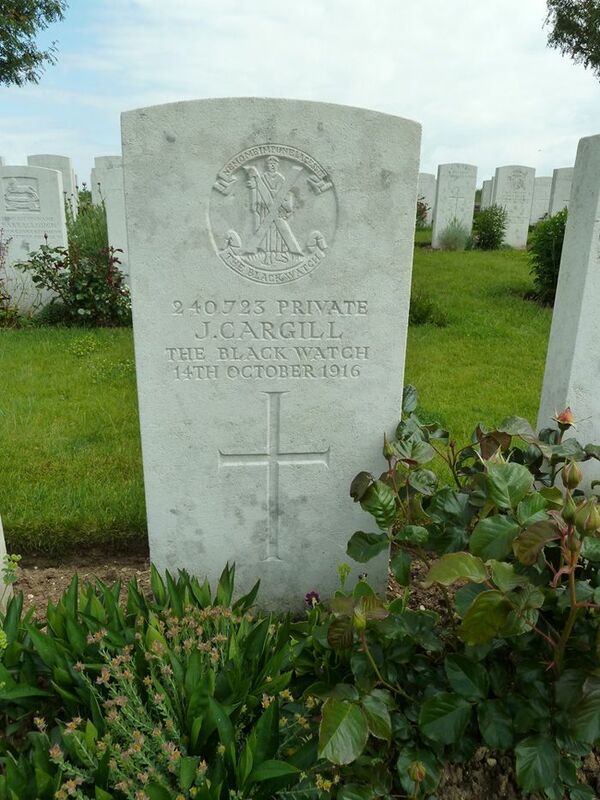 It would take until the 26 September 1916, before Thiepval finally fell to the 18th Division. Thiepval then remained under Allied occupation until 25 March 1918, when it was lost during the great German offensive, but it was retaken on the following 24 August by the 17th and 38th (Welsh) Divisions. 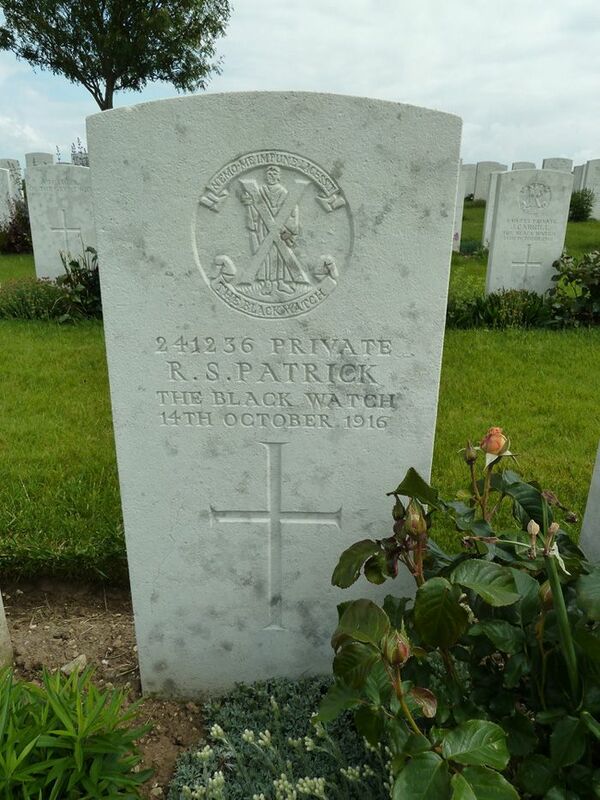 DIVION ROAD CEMETERY, No.1, 400 metres south of St. Pierre-Divion, contained the graves of 29 soldiers who fell in July and September 1916. 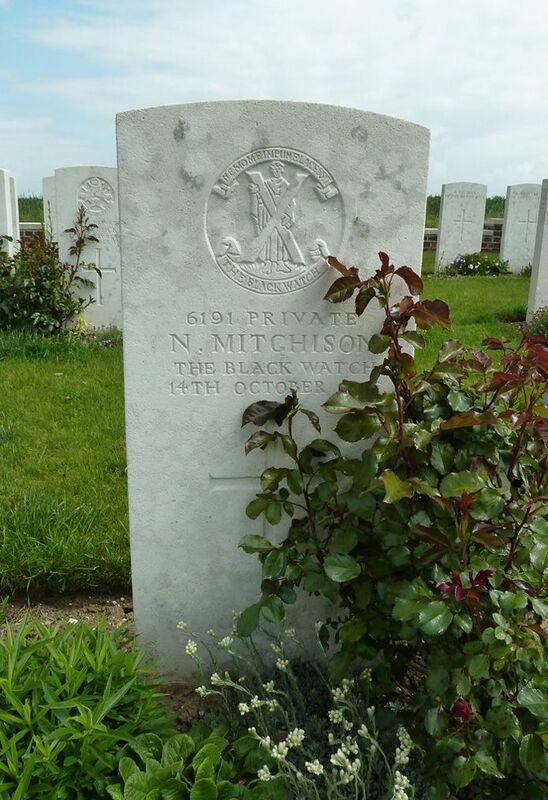 DIVION ROAD CEMETERY, No.3 (No.2 was concentrated to Connaught Cemetery), close to No.1, contained the graves of 44 soldiers who fell in September and October 1916. MILL ROAD CEMETERY, No.1, close to the present Mill Road Cemetery. 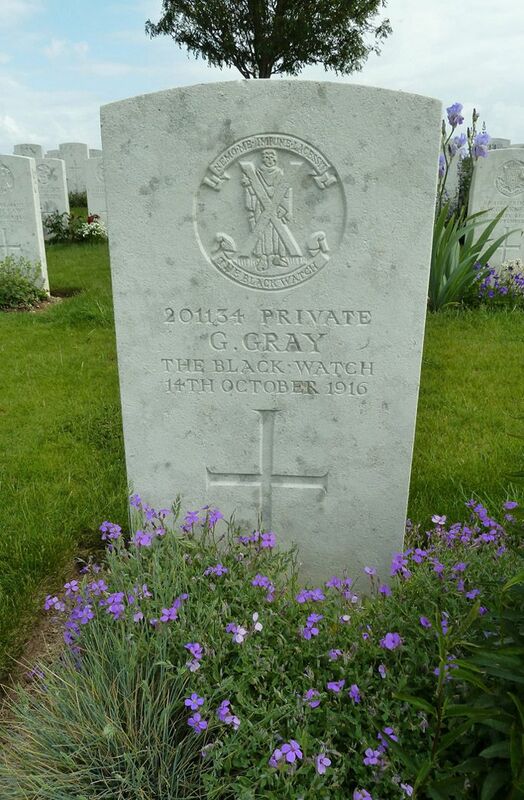 It contained the graves of 39 soldiers who fell in September 1916. 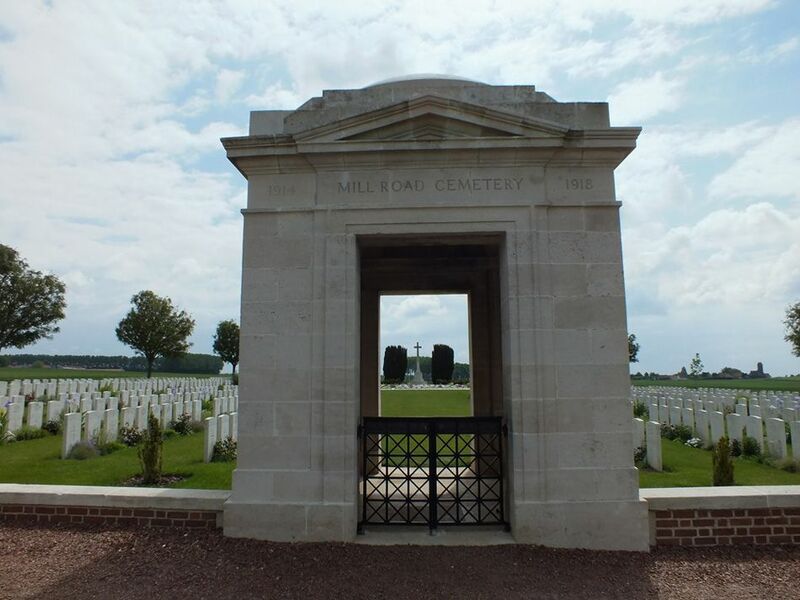 ST. PIERRE-DIVION CEMETERY, No.2 (No.1 was concentrated to Connaught Cemetery), on the more northerly road from St. Pierre-Divion to Thiepval, contained the graves of 28 soldiers who fell in September-November 1916. 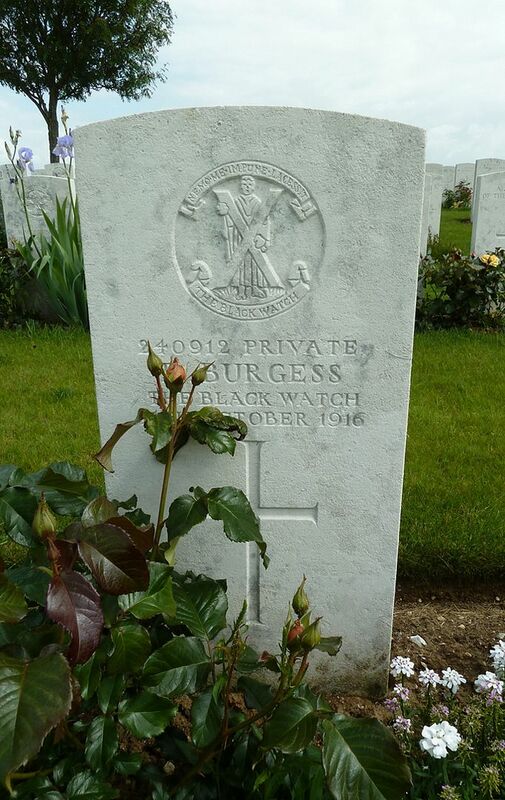 There are now 1,304 Commonwealth servicemen of the First World War buried or commemorated in the cemetery. 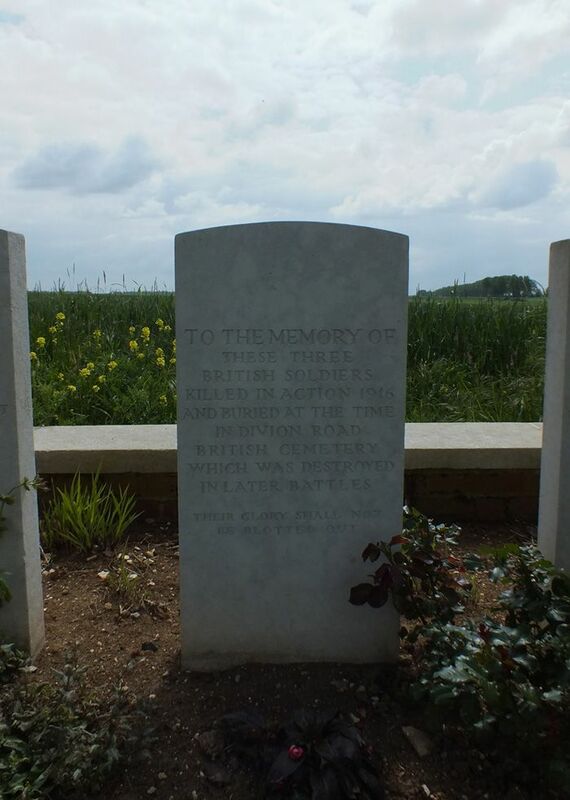 815 of the burials are unidentified but there are special memorials to three casualties believed to be buried among them and three others buried in Divion Road Cemetery No.1, whose graves were destroyed by shell fire. The cemetery was designed by Sir Herbert Baker. 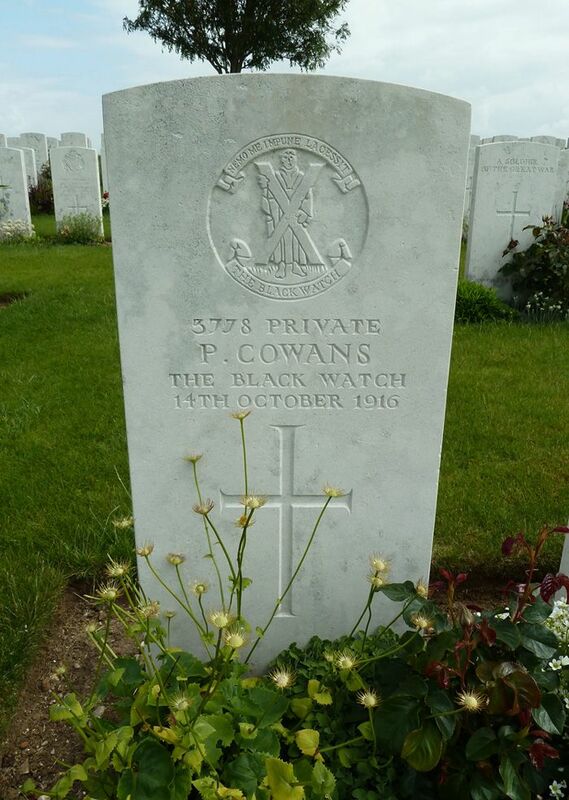 Regiment/Service: Black Watch (Royal Highlanders) 5th Bn. Grave Reference: XVI. E. 1. Additional Information: Place of birth Arbroath (SNWM). Grave Reference: XVI. F. 10. Additional Information: Place of birth Dundee (SNWM). Grave Reference: XIV. B. 8. Additional Information: Place of birth Montrose Forfarshire (SNWM). Grave Reference: XIV. C. 9. Grave Reference: XIV. A. 1. 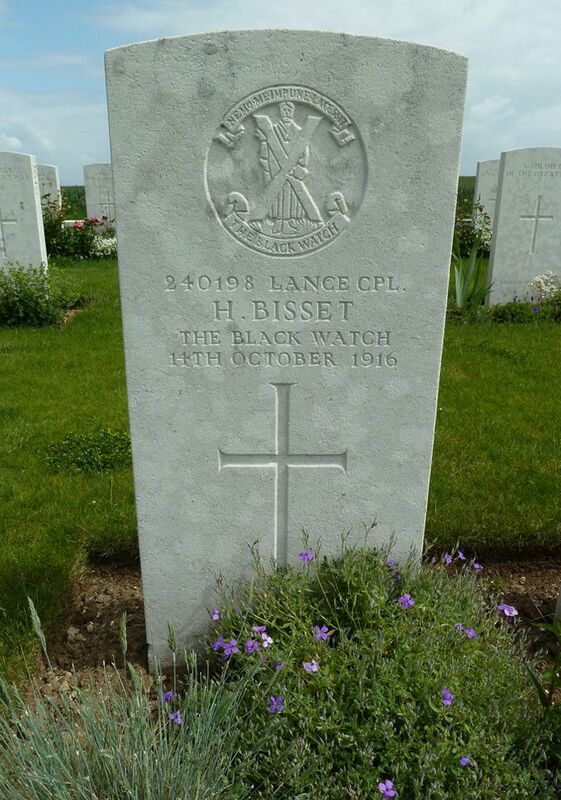 Regiment/Service: Black Watch (Royal Highlanders) 4th/5th Bn. Grave Reference: XIV. B. 9. 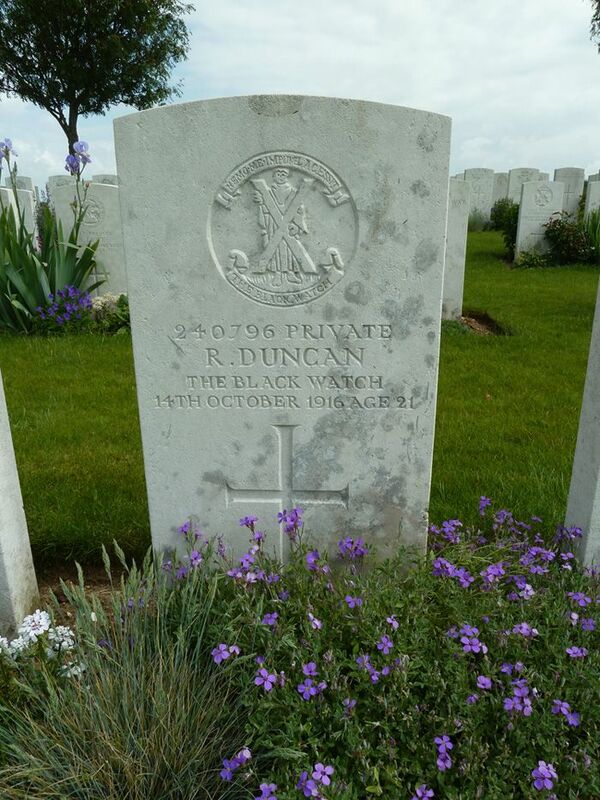 Additional Information: Son of Mr. J. Duncan, of 11 Southesk Place, Ferryden, Montrose. 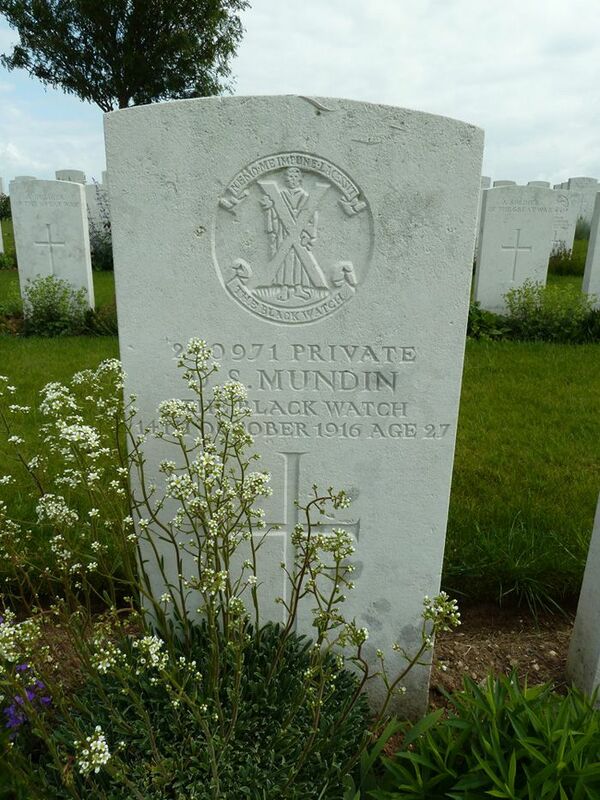 Regiment/Service: Black Watch (Royal Highlanders) 4th Bn. Grave Reference: XIV. B. 1. Grave Reference: XIV. A. 2. 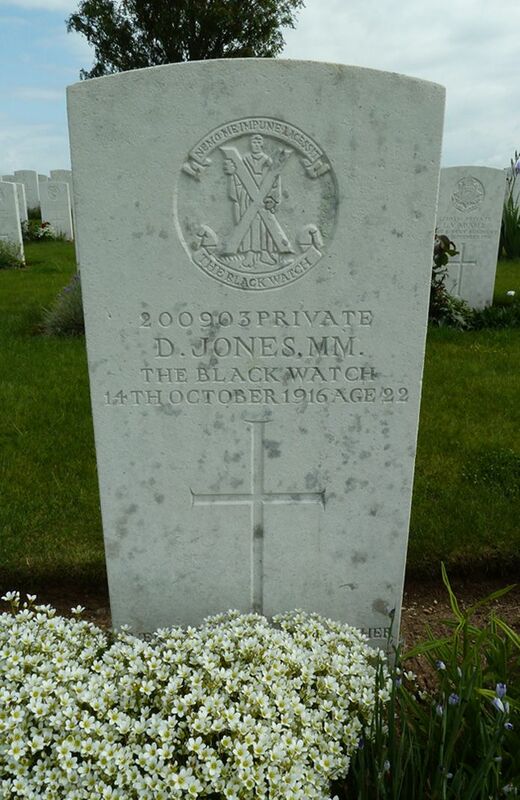 Additional Information: Son of Mrs. Thomas Jones, of 299, Hilltown, Dundee. Grave Reference: XIV. E. 9. Additional Information: Place of birth Haxton North'd (SNWM). Grave Reference: XIV. B. 6. Additional Information: Husband of Williamina Barnet Mundin, of 18, Helen St., Arbroath. Grave Reference: XIV. B. 10. Grave Reference: XIV. B. 7. 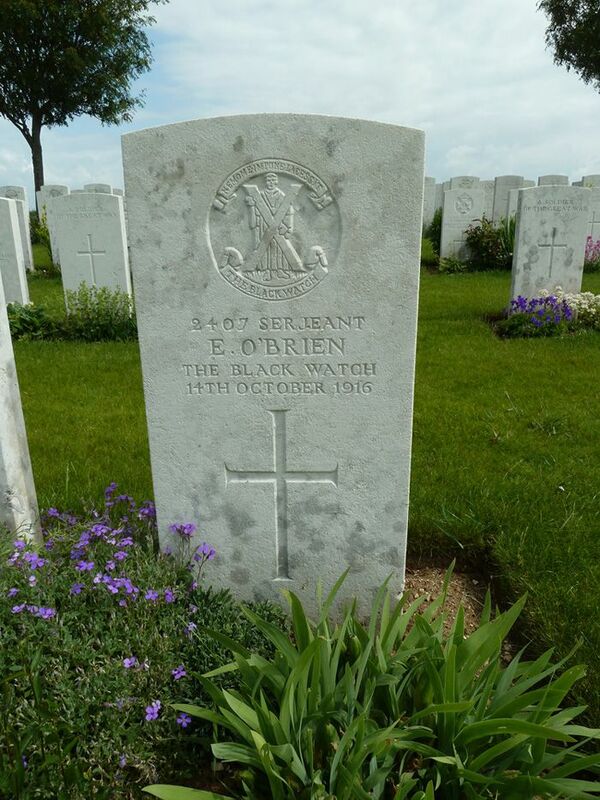 Additional Information: Place of birth Cardenden Fife (SNWM). Regiment/Service: Black Watch (Royal Highlanders) "C" Coy. 4th Bn. Grave Reference: XIV. A. 6. 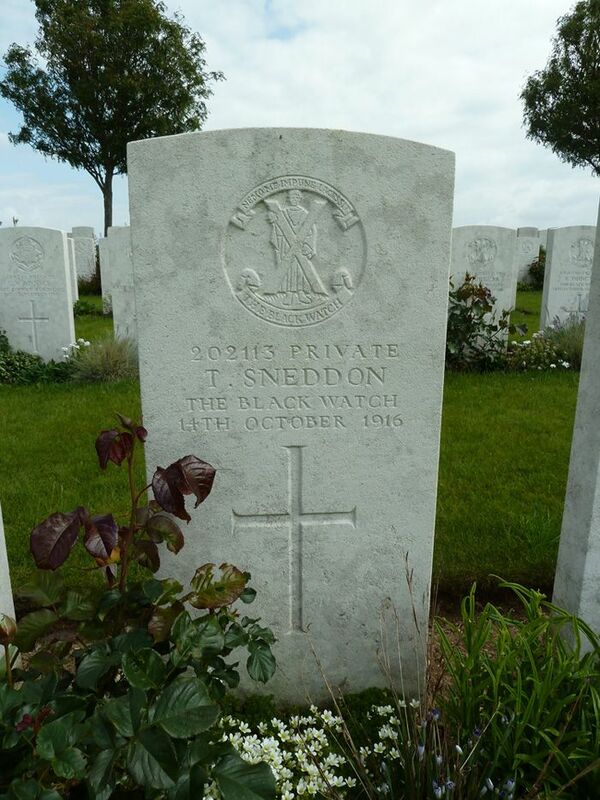 Additional Information: Son of Joseph and Catherine Sneddon; husband of Helen McGillen Hood (formerly Sneddon) of School Lodge, Kelty, Fife.